Price: from $615 or less! Our most versatile foam, slow rise formula is designed to completely fill cavities without harming existing walls. 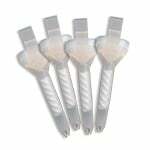 Simply drill and fill behind the drywall or plaster – ideal for retrofitting older homes and buildings. It can also be poured into place for ditch or mold released applications. Unlike many of our competitors, this kit comes ready to spray with a 15 ft Gun/Hose Assembly, 8 Cone Nozzle Tips, and kit preparation instructions. 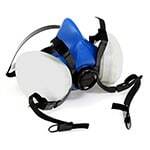 Respirator Masks with organic vapor filters and a prefilter for particulates are required when applying spray foam insulation. PLEASE read our Operating Instructions & FAQ PDF file for additional, important usage info. This kit theoretically yields 516 board feet (square foot at 1″) or 43 cu. ft. The shipping weight per kit is approx. 120lbs and each kit ships in two boxes. Please note that if you are ordering multiple kits the shipping address must be accessible by delivery truck. Applies to Product ID# TF600SR and TF200SR Portable Spray Foam Insulation Systems by Commercial Thermal Solutions, Inc. Meets or exceeds the Coast Guard specification requirements for flotation in Title 33 code of the Federal Regulations, paragraph 183.114 and meets the requirements of DIN 4102-1 for a B2 building material and is designed within the international guidelines for protection of the ozone layer, and with respect to the Montreal Protocol, 1987, and other environmental guidelines. 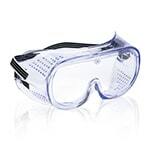 ODP (Ozone Depletion Potential): Contains non-ozone-depleting, non-flammable HFC Propellant. VOC Content: Contains no VOC’s, according to currently accepted definitions. 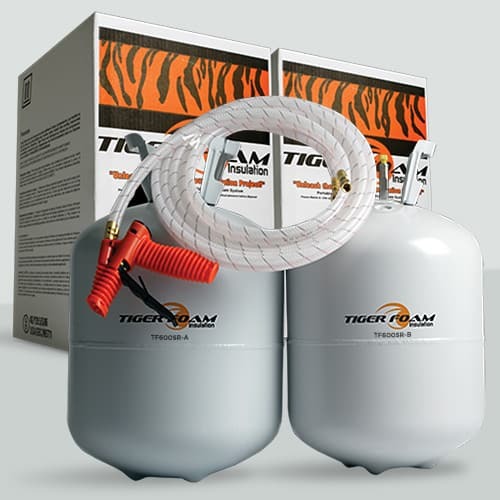 Tiger Foam Slow Rise can be dispensed into a dry cavity to insulate, fill, and seal various size voids, provide buoyancy, dampen sound, or reduce vibration. It is specifically designed to spray into molds or cavities and formulated not to damage drywall if standard building practices are followed for attachment to studs, drywall is 3/8″ or thicker, and the manufacturer’s directions are followed. Tiger Foam Slow-Rise Formula adheres to almost all building materials with the exception of surfaces such as polyethylene, Teflon®, silicone, oils, greases, mold release agents, or similar materials. Substrate must be clean, dry, firm, and free of loose particles. Protect surfaces not to be foamed. Foam is safe for internal wiring and around electrical boxes. Two-part foam systems will begin to expand immediately upon chemical reaction of the “A” component (a polymeric isocyanate) and “B” component (a polyol blended with proprietary additive ratios) chemicals to a volume that is 3-5 times the dispensed volume, depending on ambient conditions and cavity size. The foam will cure to semi-rigid, closed-cell foam. Optimum application temperature of the chemicals in the tanks is 75° F (24° C) to 85° F (34° C). 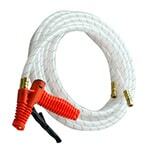 Cured foam is resistant to heat and cold -200° F to +200° F (-129° C to +93° C). It is also resistant to negative effects of aging. 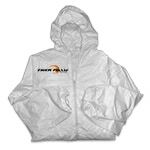 It is not resistant to UV light and must be painted, coated, or covered if exposed to direct sunlight after application. Protect surfaces not to be foamed. For mold filling applications, clamping or bracing of the mold is generally required to provide uniform support against foaming pressure. Extent of this clamping should be determined based on application and desired results. For best results, heat the mold substrate to 80 – 100°F (27 – 37°C), as this will improve the adhesion and “flowability” (filling characteristics) of the dispensed foam. Optimum chemical temperature is 75 – 85 °F (24 – 29°C). See the “Product Storage” section for important temperature information.